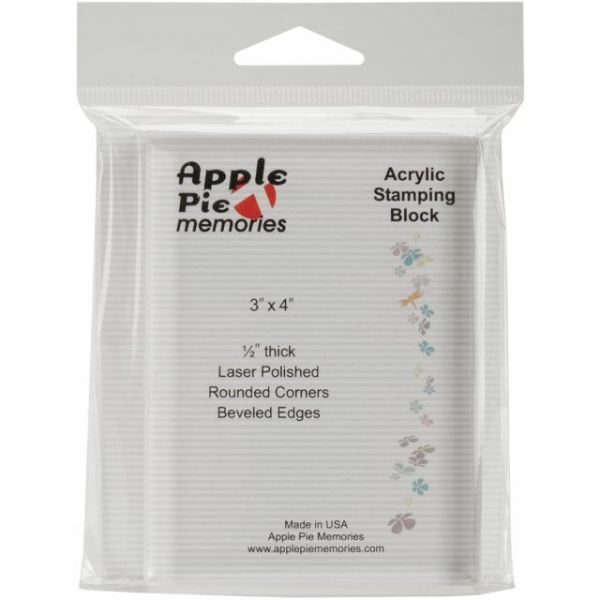 Apple Pie Memories Acrylic Stamp Block - APPLE PIE MEMORIES-This acrylic stamping block is made for use with clear stamps. Block is 3 x 4 and features an alignment grid, laser polished rounded corners and beveled edges. 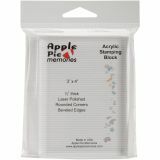 A great advantage to using see-though, crystal-clear acrylic stamping blocks for unmounted stamps is that you can see exactly where you are placing the stamped image on you work!. Made in the USA.